Learn how to incorporate electronics directly into your costumes or fabric props using conductive thread and LilyPad sewable hardware. In this session, you will get an overview of ways to plan how to add lights, sound, and other interactive elements to your existing costumes and tips and techniques. 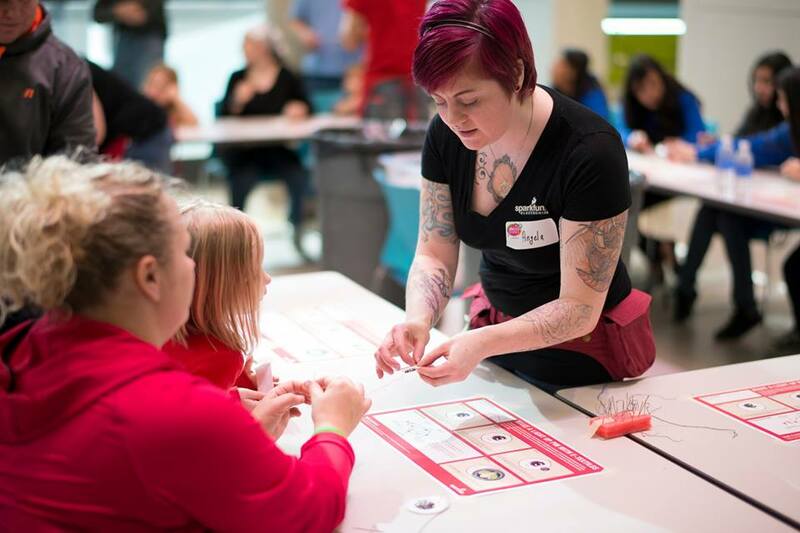 You will also get some hands-on experience crafting a light-up badge to take home using sewable electronics (first come, first serve, limited quantity available).